For our #supporterspotlight this week, we are featuring 2019 Platinum Supporter Weyerhaeuser. Weyerhaeuser is a is proud supporter of all four of the HBF’s events along with a generous amount of In-Kind donations through projects as well, especially the decking for many of our ramps throughout the year. Weyerhaeuser Distribution is a trusted link to the best building products on the market. They earn our customers’ business every day with the right mix of people, products and performance. Thier distribution business proudly serves the Denver metro and surrounding areas. 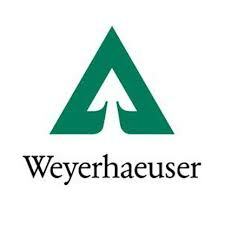 Thank you Weyerhaeuser for your continued partnership with the HBF! previousHelp the HBF raise $10,000 to fund a lift for Aloukika P.